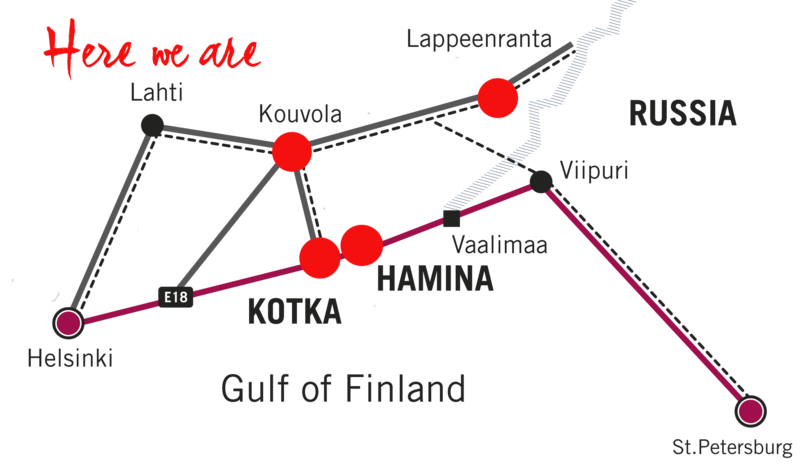 Our vision is to make the Kotka-Hamina region the best place in the world to develop games! A decade of experience in strategy games. Venture Gym is a specialist company, which is focused on developing its customers' business conditions. Privately held mobile games developer, Kukouri Mobile Entertainment develops games for high end mobile devices like Apple iPhone, iPad and Android platforms. Kotka Games Oy are the makers of Swing Game and Pasi Riiali's P-Rally. Acceleteam reinforces the internationalization of SMEs by assisting them in finding distribution channels, clients and investors. Creations with a twist. Kiemura is a game company founded by a husband-wife team. Gamerefinery gives mobile game developers & publishers new superpowers. GoodLife Technology develops consumer and outcome driven solutions for healthcare and wellness domain. The award-winning game studio Headnought located in Lappeenranta creates games for both young and old players. Palko is specialized in developing digital customer service concepts providing solutions for various problems. Seepia games is a game studio from Finland whose goal is to provide top-quality entertainment for everyone. AjoRanta is a development company concentrating on innovating, developing, marketing and new business opportunities. Dark Amber Softworks is a multi-disciplinary media consortium focusing on creating digital content. Health Revolution develops simple and easy-to-use nutrition coaching concepts for mobile platforms. Hoikka Consulting Oy on liikkeenjohdon ja markkinoinnin konsultointitoimisto. Olento Life Ltd is a Finnish mHealth developer. Perilune thrives to make their apps fun and accessible paying extra attention in making products fast and easy to use. Our cross-border efforts are paying off! The teams and startups from GameCamps are pitching in San Francisco and attending the 2019! Good luck to everyone and enjoy the event! Our efforts to support the game development community in the Central Baltic region continued last weekend in Visby! We had a record amount of teams and startups so far at our Game Camp - 19 teams pitched and got mentored throughout the weekend. An awesome opportunity for a game industry professional! We are looking for early stage startups, talented teams and individuals from Finland, Estonia, Latvia and Sweden, who really want to boost their development and business! One week left to apply! If you're looking for a job in games or IT close to Helsinki with an easy going atmosphere by the sea, check this event out. In June the next Game Camp will be in Kotka! Apply now, win prizes and maybe even get to GDC2019 in San Francisco! :) Early stage startups are also welcome to join the program! Good news from Finland interviewed some games people here in South-eastern Finland. :) Read more about e.g. We are part of the Game Camps -initiative, which focuses on creating new game startups in the Baltic region. Take a look what went down in Riga at our 2nd Game Camp!